Guided tour through West Iceland, assorted local goodies and farm visit. Alcoholic beverages not included. Join our food and farm tour to get an insight into the life on a typical Icelandic farm, taste local treats and enjoy the stunning scenery at an easy going pace. 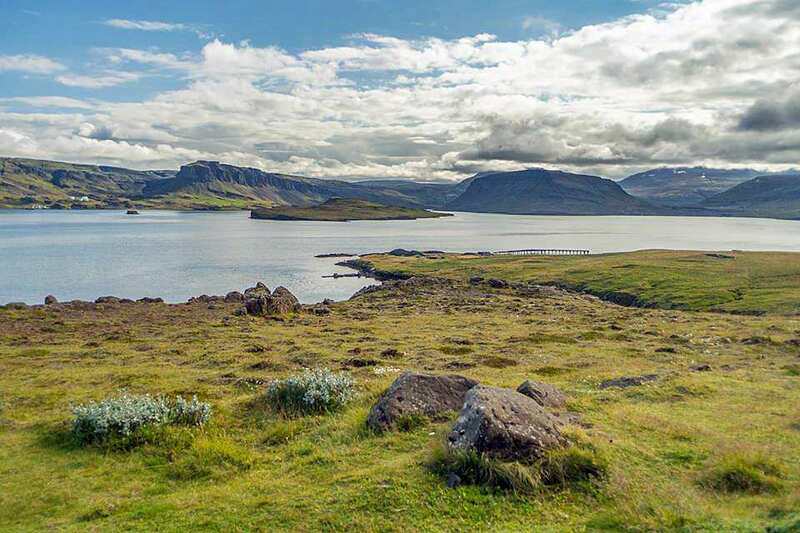 Just off the border of Reykjavik we leave the main road to follow the shoreline around Hvalfjordur fjord (Whale Fjord), only 50 km from Reykjavik, an oasis of calmness, with farms tucked away between the ocean and the mountains. This food and farm tour leads us through the subtle wonders of Hvalfjorður, west Iceland. On one hand the ocean, on the other mountains and hills. In between them the farms, some have been there since the settlement of Iceland. Along the way we sample local treats from the farms we visit and other local producers, all of it delicious, high quality food combining traditions while at the same time exploring and developing new flavors. All our hosts have a deep connection with their animals and the farm life. They open their doors to us, show us around, share their food and stories with great generosity. They are full of life and with them every day seems like a small adventure. This is Hvalfjordur. Magnificent, calm but powerful landscapes and geography. It gives an excellent opportunity to enjoy a unique food experience and meeting the people who prepare it. While surrounded by the nature, where the food originates, we come in close contact with the local culture of Iceland. Join us if you are interested in delicious artisan food, curious about stories of everyday life told by local people, and prefer a short hike on scenic trails in small groups at an easygoing pace. We are ready for a new food and farm experience! Yes, I would like to add pickup and drop off (please provide your address in the message box below). This food experience is not recommended for those who follow strict vegetarian or vegan diets. Sorry about that! Please inform us of any food intolerance or allergies. Please dress according to weather and wear good hiking shoes. You can book the food and farm tour as private, just for your group. The price is ISK 121,250 total for a gourp of 4 people. The area is especially quiet and tranquil. Glymur, the highest waterfall of Iceland (198 m) is in Hvalfjordur. We are long time friends, who joined forces to share with others the way we like to travel. Tasting local food is a fun way to get in touch with history and culture. We have good connections to local farmers and food producers, who are happy to open their doors to us and show us what they do. After years of travelling, by ourselves and as tour guides, we have come to appreciate more and more the quality of slow travel and direct contact with the local culture. We meet in downtown Reykjavik. Meeting point will be provided after booking. Hotel pickup and drop off available in the Reykjavik area at ISK 2,000 total.